How Can a Computer-Animated Movie Have ‘Special Effects’? Let Pixar Explain! In most live-action movies these days, anything computer-generated is deemed a visual effect. But when the entire movie is computer-generated, as is the case with Pixar’s new film The Good Dinosaur, what does it mean when producer Denise Ream describes it as “Pixar’s biggest effects film to date”? In other words, if it’s something that a live-action movie would employ to embellish its frame, Pixar probably considers it a visual effect, too. 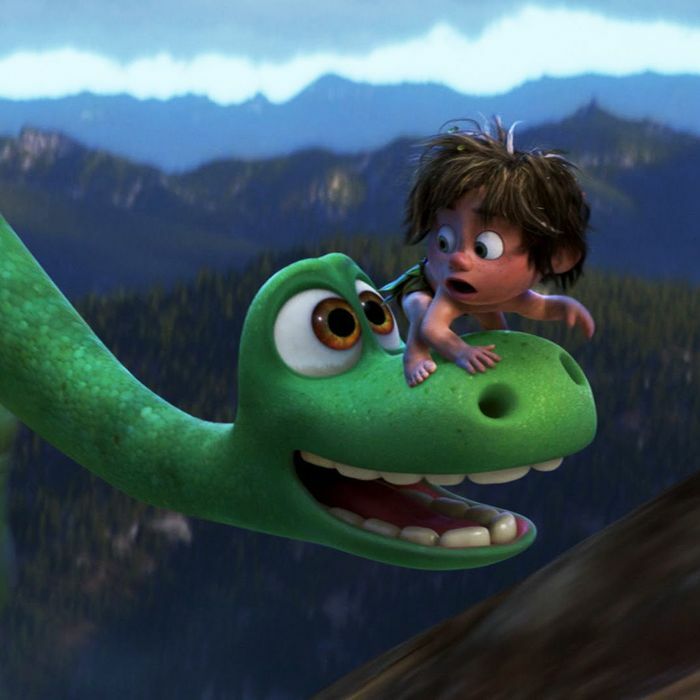 In fact, though the main characters of The Good Dinosaur (including Arlo, the titular dinosaur, and his human companion Spot) are rendered in cartoonish dimensions, the natural world around them is so photo-realistic that it prompted Pixar to innovate in ways that still trip up many live-action films. Just as important was the river that both separates Arlo from his family and eventually guides him back to them. Though great strides have been made over the last decade in animating water, it’s still a time-consuming, expensive effect, and one that Ream worried would be too resource-intensive for the film. Fortunately, just as Pixar’s artists managed to create an entire volumetric cloud library, they built an array of modular river sections that could repeat without the audience ever catching on. Beyond that, Sohn didn’t want to pussyfoot around how dangerous nature can be. Though many animated films will use euphemisms for death, the characters in The Good Dinosaur discuss it openly — and fear it.